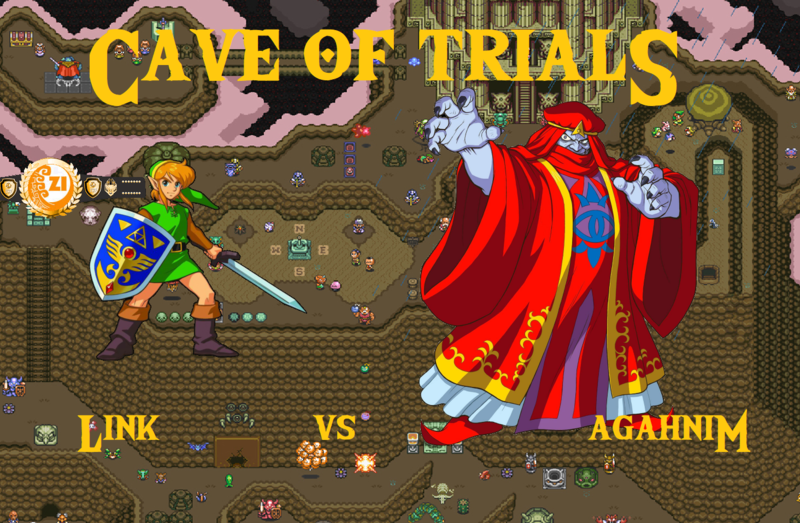 This week, we step back into the Cave as one of Link’s oldest foes tries to unseat him as Champion. Although Linebeck put up a valiant fight, in the end, the roguish pirate couldn’t overcome the juggernaut known as Link. The Hero of Hyrule disposed of him and continued his run of dominance, proving once again that, for now anyways, this is his yard. Stepping up this week to cast a shadow over Link’s Championship reign is Agahnim, the dark wizard who first terrorized Hyrule in 1991’s A Link To The Past. A being that carries a certain darkness around within him, will Agahnim’s evil be enough to finally put the Hero down for the count? Or will Link rise up yet again and conquer darkness? Only you can decide! And remember, VOTE on who you would like to see be the challenger next week! YOU have the power!